WASHINGTON, D.C.—Molecular biologist Dr. Jane Babin today revealed her groundbreaking new study which proves that the Food & Drug Administration (FDA) is falsely linking kratom to 44 deaths. “The FDA has gone well beyond any credible scientific analysis in the documents they’ve produced,” Dr. Babin explained to reporters in a telephone press conference hosted by the American Kratom Association (AKA). She also said the FDA’s analysis of available information is incomplete. “You really need [to] have some idea of how the substance that you’re believing to be contributing to the death, how that substance works, how that substance is causing the death.” According to Babin, the FDA lacks this knowledge. AKA Board Chairman Dave Herman shared Babin’s skepticism of the FDA’s conclusions. All speakers stood in agreement on one fact -- regulation, not criminalization. Dr. Babin concluded, “AKA has always advocated for regulation of the kratom leaf -- for good manufacturing processes, for purity, for non-adulteration, and even standardization.” For that to happen, she says, the FDA must throw away their dishonest conclusions for the science as outlined in this report. WASHINGTON, March 7, 2018 /PRNewswire-USNewswire/ -- Four of the world's leading kratom researchers today called on the U.S. Food and Drug Administration (FDA) to cease the agency's scientifically unsupported attacks on the coffee-like herb kratom. The scientists strongly believe that the current body of credible research on the actual effects of kratom demonstrates that it is not dangerously addictive, nor is it similar to "narcotics like opioids" with respect to "addiction" and "death" as stated by the FDA in its public advisories and subsequent warnings. It is the scientists' position that a ban on kratom could result in a "serious public health threat" as consumers are pushed to dangerous alternatives in the black market, while at the same time halting much needed scientific research on the risks and benefits of kratom and its alkaloids. The four kratom experts organized today's news conference and were not paid to participate in it. The scientists are: Marc T. Swogger, Ph.D., associate professor of psychiatry, University of Rochester Medical Center; Oliver Grundmann, Ph.D., clinical associate professor, College of Pharmacy, University of Florida; Paula N. Brown, Ph.D., director of applied research, BC Institute of Technology, Canada Research chair, Phytoanalytics and adjunct professor of biology, University of British Columbia; and Dr. Jack Henningfield, vice president of research, Health Policy and Abuse Liability, at PinneyAssociates, and adjunct professor of Behavioral Biology, Johns Hopkins University School of Medicine. Instead of a de facto ban on kratom, the scientists urged the promotion of good manufacturing practices (GMP) complying to FDA standards, as is the case with other widely available supplements in the United States. For the text of the four experts' statements, go to www.bit.ly/kratomscience. EDITOR'S NOTE: For more information, go to bit.ly/kratomscience, where a streaming audio recording of today's news event will be available online as of 4 p.m. ET/1 p.m. PT on March 7, 2018. Limited and unrestricted support for this news event is being provided by the nonprofit People Plants Health. The U.S. Food and Drug Administration Wednesday announced the recall of three brands of dietary supplements containing kratom, the latest move in what appears to be a concerted government campaign to stop all sales of the herb. The recall involves a large volume of kratom supplements sold under the brand names Botany Bay, Enhance Your Life and Divinity, which are manufactured and sold nationwide by Divinity Products Distribution of Missouri. The FDA said the company had agreed to the “voluntary destruction” of its kratom products, even though there have been no reports of illnesses associated with them. “The company has also agreed to stop selling all products containing kratom. Based on the scientific evidence of the serious risks associated with the use of kratom, in the interest of public health, the FDA encourages all companies currently involved in the sale of products containing kratom intended for human consumption to take similar steps to take their products off the market,” the FDA said in a statement. The move appears unrelated to Tuesday’s warning from the CDC linking kratom to a Salmonella bacteria outbreak in 20 states. The CDC said 8 of the 28 people who were sickened by Salmonella had recently used kratom, making it the likely source. No actual bacteria was found in a kratom product. In recent months, the FDA has released a public health advisory warning that kratom should not be marketed as a treatment for opioid addiction, chronic pain, depression or anxiety. The agency also released a computer analysis that found kratom contains over two dozen opioid-like substances. 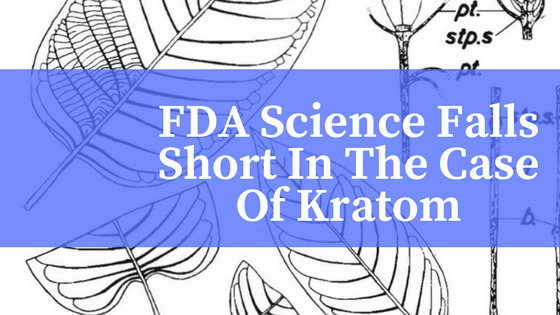 “The extensive scientific data we’ve evaluated about kratom provides conclusive evidence that compounds contained in kratom are opioids and are expected to have similar addictive effects as well as risks of abuse, overdose and, in some cases, death. At the same time, there’s no evidence to indicate that kratom is safe or effective for any medical use,” FDA Commissioner Scott Gottlieb, MD, said in a statement. “We’re in for a fight,” said David Herman, president of the American Kratom Association, a pro-kratom consumer group. “This is clearly a disinformation campaign. They are creating through a grassroots effort what they can’t seem to be able to with science. Herman says there is little doubt the FDA is moving to have all kratom products taken off the market. In 2016, the Drug Enforcement Administration attempted to ban kratom by scheduling it as an illegal controlled substance, but a public outcry and lobbying campaign forced the DEA to suspend its scheduling decision. Herman said any renewed attempt to ban kratom would have to go through a public comment and hearing process that could take a year or longer. He sees it as part of a larger effort by the FDA to have greater control over the loosely regulated dietary supplement industry. “The only logical conclusion is that this is the first salvo in controlling the supplement business. We are on the frontline of a fight that will encompass a whole lot more than kratom,” Herman said. Corynantheidine: μ -opioid antagonist, also found in Yohimbe. Ciliaphylline: antitussive, analgesic. Nine scientists are warning that a renewed effort to make the herbal supplement kratom an illegal Schedule I controlled substance would worsen the opioid crisis and lead to more overdoses. “It is our collective judgment that placing kratom into Schedule I will potentially increase the number of deaths of Americans caused by opioids because many people who have found kratom to be their lifeline away from strong opioids will be vulnerable to resumption of that opioid use,” wrote lead author Jack Henningfield, PhD, in a letter to Acting DEA administrator Robert Patterson and White House advisor Kellyanne Conway. The letter was released by the American Kratom Association (AKA), a pro-kratom consumer group, in response to an FDA analysis this week stating that kratom contains risky chemical compounds that act as opioids. “Kratom should not be used to treat medical conditions, nor should it be used as an alternative to prescription opioids. There is no evidence to indicate that kratom is safe or effective for any medical use,” said FDA Commissioner Scott Gottlieb, MD, in a lengthy statement. “As the scientific data and adverse event reports have clearly revealed, compounds in kratom make it so it isn’t just a plant – it’s an opioid. And it’s an opioid that’s associated with novel risks because of the variability in how it’s being formulated, sold and used recreationally and by those who are seeking to self-medicate for pain or who use kratom to treat opioid withdrawal symptoms." Kratom comes from a tree that grows in southeast Asia, where it has been used for centuries for its medicinal properties. 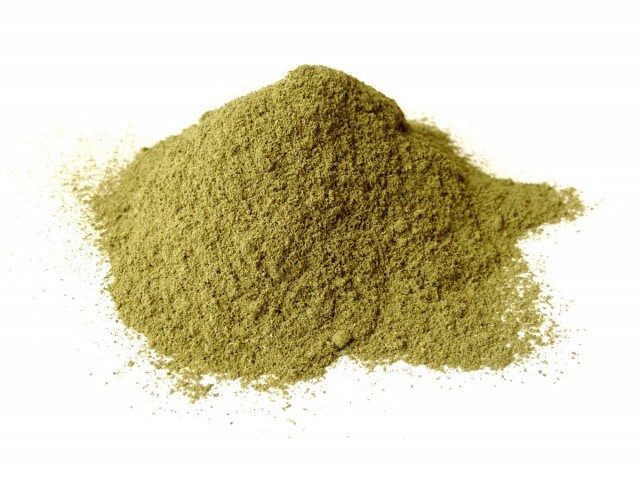 Kratom leaves are typically ground up into powder to make tea or used in capsules. Millions of Americans have discovered kratom in recent years, using it to treat chronic pain, anxiety, depression, and addiction. In 2016, the Drug Enforcement Administration tried to list two of kratom’s active ingredients as Schedule I substances, which would have made it a felony to sell or possess kratom. The DEA suspended its plan after a public outcry and asked for a full medical evaluation of kratom from the FDA. The new report from the FDA -- which links kratom to dozens of overdose deaths – seems likely to trigger a new effort by the DEA to make the herb an illegal controlled substance. That would be a serious mistake, according to the scientists engaged by the AKA, because it would stifle kratom research. The letter was signed by scientists and researchers affiliated with the Johns Hopkins University School of Medicine, Columbia University, Temple University School of Medicine, University of Rochester Medical Center, University of British Columbia, and other academic and medical institutions. Kratom, an alternative to traditional pain management that America desperately needs. You won’t hear about Kratom from your doctor, because herbal medicine is not taught in medical school. It’s not approved by the FDA, which is unlikely to change in the immediate future, as the FDA is ardently fighting to schedule the plant as a controlled substance. On February 6, 2018 they released a statement labeling the plant an opiate, implying that it should be controlled in a similar manner as morphine, fentanyl, and heroin, due to its interaction with opiate receptors. Their stance ignores the fact that not all opiate agonists have the same effect on the body. Other medications that interact with opiate receptors include Dextromethorphan, a main ingredient in cough syrup, and Loperamide, an antidiarrheal medication. Both are approved by the FDA and sold over the counter. Kratom too is unique in its interaction with the brain’s receptors, and notably does not cause the deadly respiratory depression that leads to opiate induced deaths. With almost 1 in 3 Americans living with chronic pain, it is more common than any other health condition. The impact of chronic pain goes far beyond the individual, deeply affecting family, friends, and society as a whole. The financial burden is astronomical. The total health care cost, including missed productivity, ranges from $560 to $635 billion. This is significantly greater than the cost of heart disease, cancer or diabetes. Perhaps the greatest burden has nothing to do with economics, but the tremendous suffering endured by patients and families. Suicide rates are twice the national average in people who suffer from chronic pain. In one study it was reported that up to 32% of people with chronic pain have thoughts of suicide, a staggering number when compared to the general public. The overall burden of pain is colossal, but we have created a much larger and far more devastating predicament: the opiate epidemic. I am an emergency room physician. I can tell you it is very difficult to safely and effectively treat chronic pain, in part because approved treatment options are few, but also the treatments available all have significant limitations. Acetaminophen (Tylenol), which is generally only effective for the most minor pains, is rarely the answer to managing severe pain. High doses can cause liver failure, and if overdoses not appropriately treated with an antidote, a slow and painful death can occur over a few days. NSAIDs, such as Ibuprofen and Naproxen, can be very effective for acute pain, but like Acetaminophen are often not sufficient for severe pain, and with prolonged use they are infamous for causing kidney damage, gastric ulcers, and GI bleeding. Opiates, such as Hydrocodone, Oxycodone, Morphine, and Fentanyl, have a strong affinity for opiate receptors in the brain, which when activated block pain and cause intense euphoria. With continued use the body adapts to anticipate the drugs presence and if abruptly stopped horrible withdrawal symptoms ensue. Although not life threatening, opiate withdrawals are agonizing, and reports of suicide during the withdrawal period are not uncommon. Opiates are extremely effective for severe, acute pain. They will always have a valuable role in medicine in the correct situation. Opiates control pain more effectively than other medications except those involved in general anesthesia. However, for the last 20 years they have been overprescribed, often given in situations where clearly the risks did not outweigh the benefits. Kratom is a relative of the coffee plant and has been used for centuries for its analgesic, anti-inflammatory and anti-depressant properties. Its main alkaloids, Mitragynine and 7-OH Mitragynine, activate the same opiate receptors as prescribed opiate medications. This is at least part of the reason why it is so effective against pain. However, unlike traditional opiates, Kratom has over 25 active alkaloids, and at least one, Corynanthiedine, acts as opiate antagonist, possibly providing a natural safeguard against respiratory depression, which is the cause of death in opiate overdoses. The thousands of Americans who use it report significant pain relief. Kratom users are going back to work, staying out of hospitals and paying taxes. It’s true that Kratom needs further research to understand its full potential and limitations, but this will take time. Unfortunately, there is no time to spare, considering the mounting death toll from opiate overdoses. It is critical that Kratom remains legal and available to the public. Making it illegal will jeopardize future research and a large percentage of current users will revert back to more dangerous opiates including heroin. This is no time to close the door on alternative therapies that show so much promise. If Kratom helps people stay off traditional opiates, then Kratom is saving lives. 3.Edwards RR, Smith MT, Kudel I, Haythornthwaite J. Pain-related catastrophizing as a risk factor for suicidal ideation in chronic pain. Pain. 2006;126(1–3):272–279.September 5–9, 2017. Poster 48. 4.Using chronic pain to predict depressive morbidity in the general population. Ohayon MM, Schatzberg AF, Arch Gen Psychiatry. 2003 Jan; 60(1):39–47. Article by Dr. Trey Hanson - An emergency physician working in Kingston, NY. In my free time I am a writer, photographer, and entrepreneur. The U.S. Food and Drug Administration released a statement on Tuesday afternoon from Commissioner Scott Gottlieb, MD, declaring that kratom, a southeast Asian herbal medicine, contains naturally occurring plant alkaloid chemicals that are predicted by unpublished computer models to be opioids. The agency has also collected 44 fatal adverse reaction reports where kratom components were present in the bodily fluids of the decedents. As a result, the agency is heightening its warning to consumers and healthcare professionals, first made in a public health advisory in November, that kratom presents a safety hazard and holds the potential for abuse. But consumers sing kratom's praises as a medicinal herb useful for chronic pain, anxiety and depression. Taken primarily as a tea or in capsules containing pulverized dried leaves, kratom is used by some who had been previously dependent on prescription opioids or alcohol. But the FDA states that no scientific studies support these therapeutic uses of kratom. As a result, Dr. Gottlieb's statement concludes by urging people who are self-medicating with kratom to seek the help of healthcare professionals and prescription opioid-maintenance therapy or non-opioid pain relievers that have passed the FDA approval process. When the Drug Enforcement Agency announced plans in 2016 to add the two major kratom components to the most-restrictive Schedule I of U.S controlled substances – the classification for drugs with no medical utility and high abuse potential – the general public and members of Congress objected so vigorously that the agency rescinded its plan. In a subsequent comment period, the DEA received 23,000 comments, with 99% voicing positive views on the herb. Along with Tuesday's FDA warning, the agency also released a 164-page document with case details on 28 deaths where kratom was present, first referred to in the November 2017 advisory. This report joins another from December showing details of eight other deaths. Nick Wing, a Huffington Post senior reporter, dissected these fatal adverse reaction reports and found that in many, kratom and its constituents were likely innocent bystanders. The agency even includes among kratom-associated deaths cases of fatalities by hanging, gunshot and others where kratom was adulterated with the active metabolite of a prescription opioid, O-desmethyltramadol. My take? If Dr. Gottlieb's statement were a pharmacology graduate student's written qualifying exam answer to a question seeking an objective assessment of kratom pharmacology and toxicology, I'd have no choice but to issue a failing grade. You failed to read 20 years of published scientific literature on alkaloids present in the kratom plant, Mitragyna speciosa. You failed to demonstrate any mastery of current research on the biochemical pharmacology of opioids. You were overly reliant on unpublished data from a computational model in the absence of direct, experimental confirmation. You made safety conclusions based on confirmation bias and a poor assessment of adverse reaction reports where kratom or its constituents were present. You also made safety conclusions in the absence of considering the impact on public health if kratom were banned. You concluded that the substance has no medical benefit in the absence of a prospective clinical trial for any indication with a well-qualified kratom product or purified kratom alkaloid. I say this all with great respect for Dr. Gottlieb, a physician and former FORBES contributor, because I also know that the FDA is in a difficult regulatory position: It lacks the flexibility to handle herbal, botanical medicines and other dietary supplements that may be of medical benefit. In fact, herbal medicines in the United States can be sold only as long as no disease treatment or prevention claims are made. The FDA can only remove herbal medicines and other dietary supplements from the market if it can make a case that the product is unsafe. There's no doubt that kratom contains opioid-like chemicals. Why the FDA is trumpeting this now as if it were news seems to be more of a public policy proclamation meant to address opioid denialism among some kratom advocates and, perhaps, stigmatize kratom in the media. The scientific community has known that kratom contains alkaloid compounds with mild opioid activity since animal experiments first published in 1996 and 1997. These studies showed that the action of the major kratom constituent, mitragynine, could inhibit pain impulses and intestinal movement in a manner that was reversed by the opioid blocker, or antagonist, naloxone. Conclusive evidence of binding by several kratom alkaloids to human opioid receptors was shown experimentally in 2016, but those studies showed kratom-derived opioids behaved very differently from strong opioids like morphine. So on a cursory read of headlines earlier this week, theoretical concerns exist that a small subset of kratom consumers are using the herb to get an opioid-like high or euphoric sense of well-being. Among my correspondents, any addictive potential of the herb appears to be limited to those using concentrated plant extracts, not the crude herb. In fact, using the crude herb is almost self-limiting because its bitter taste precludes ingesting more than 3 to 5 grams at a time; some users report nausea and vomiting when taking too much. These advances in kratom pharmacology were put forward in a 2016 paper in the Journal of the American Chemical Society by lead authors Andrew Kruegel, PhD, and Madalee Gassaway, PhD, and their colleagues and mentors at Columbia University and Memorial Sloan-Kettering Cancer Center. First is that when chemicals bind to opioid receptors in the brain, spinal cord and intestines, the maximum response they can exert can be full or partial. Drugs like morphine, fentanyl and heroin all exert a full effect at the mu-subtype of opioid receptors when present at a high enough concentration. The opioids in kratom appear to only partially stimulate mu opioid receptors. Moreover, they block kappa opioid receptors, albeit at higher concentrations. While not a direct comparison, these kratom alkaloids better resemble the opioid maintenance therapy buprenorphine than the strong opioids most often responsible for overdose deaths, such as heroin and fentanyl. Secondly, it turns out that when a chemical binds to an opioid receptor protein in the brain, the way the signal is transmitted inside neuronal cells can vary between two pathways. One pathway is mediated by a so-called G protein while the other is mediated by a protein called beta-arrestin2. Using a series of opioids, the laboratory of Laura Bohn, PhD, at the Scripps Florida research institute has shown that opioids that recruit the beta-arrestin2 protein cause suppress breathing more so than those biased more toward the G protein pathway when given to mice at equal painkilling doses. A November 2017 paper from her group in the journal Cell is suggestive that bias toward beta-arrestin2 is somehow linked to fentanyl and opioids like it being more deadly than G protein-biased opioids. These findings are only at the level of animal studies and the obvious next step is to determine if this distinction among opioids occurs in humans. So while the term "opioid" carries a stigma in our society because of its association with drugs that cause 65,000 overdose deaths each year, science is beginning to show us that not all opioids are equal, at least in terms of some side effects and relative strength. What's not yet known is whether this biased signaling could give us opioids that relieve pain with less addictive potential than current prescription opioids. Unfortunately, few financial incentives exist to investigate kratom components as a potential drug, although SmithKline & French Laboratories filed a now-expired patent on the kratom component, speciofoline, in the 1960s. A G protein-biased opioid called oliceridine made by Trevena just completed Phase 3 clinical trials, but it is only effective intravenously and, if approved, will only be used in hospital and other inpatient settings. The only paths for kratom in the United States are as a botanical medicine or new dietary ingredient. However, no company has successfully submitted the necessary information to FDA for a specific kratom product to be investigated as a new drug. As a result, kratom sits in the regulatory no-man's land of botanical medicines as foods. As long as no direct disease treatment claims are made, retailers can sell all manner or herbal products unless they are proven unsafe by the FDA. It seems that the latest announcement by the agency is an attempt to move in that direction, with the potential goal of prohibiting sales of kratom in the U.S. The herb is already subject to import seizures, and a domestic U.S. cultivation industry, like that for herbs such as echinacea and turmeric, has yet to emerge. Opioids are, by definition, compounds that interact with opioid receptors; that doesn't make them good or bad. On Tuesday the Food and Drug Administration issued another warning about the alleged dangers of kratom, the herbal supplement used as a pain reliever and to treat opioid withdrawal symptoms. The agency says it used a computer model to assess the molecular structure of compounds found in the plant and declared them opioids with “potential for abuse.” It also released data on what it says are 44 deaths associated with kratom use, up from 36 kratom-linked deaths in a November warning. But critics say the FDA’s computer model isn’t the “novel science” it claims, and that the list of kratom-related deaths—the implication being that the plant may be killing people—isn’t as clear-cut as it may seem. While the agency touts its “significant steps to advance the scientific understanding,” other researchers are skeptical about the FDA’s approach. In its press release, the FDA describes what it calls “the Public Health Assessment via Structural Evaluation (PHASE) methodology.” This involves building a three-dimensional molecular model of compounds under agency review, then using those models to predict how the compounds will affect the body. “The data from the PHASE model shows us that kratom compounds are predicted to affect the body just like opioids,” FDA commissioner Scott Gottlieb said in a statement. “Based on the scientific information in the literature and further supported by our computational modeling and the reports of its adverse effects in humans, we feel confident in calling compounds found in kratom, opioids.” It also touted the power of its model to quickly analyze other natural or synthetic opioids that may appear. He’s perplexed from a scientific perspective as to why the FDA issued its statement. The technique used by the agency—attempting to match a computer model of a compound with its receptors in the body—is called molecular modeling or molecular docking, he says. It’s used in the early stages of drug development: By choosing a receptor to target, researchers could cycle through tens of thousands of compound models, looking for one that might activate the receptor. “But that’s a very early step in drug development,” Kruegel says. “You would not be very confident in the results of that assay. It’s all done virtually in a computer.” There’s still the laborious process of producing the compound and testing it in actual living things—with no guarantee it’ll have the expected effect. Moreover, researchers have already demonstrated that compounds in kratom bind to mu opioid receptors. “We’ve known that since that 1990s,” he says. He points to his own research, published in 2016, which examines how compounds in kratom, particularly mitragynine, only partially activate certain opioid receptors, yet have distinct pharmacological properties. Kratom doesn't seem to share the dangerous side effect of respiratory depression that other opioids have—that’s when someone’s breathing slows down and could stop completely. Better understanding how certain opioids produce certain effects is key to developing safer painkillers. Kruegel’s point is that opioids are, by definition, compounds that interact with opioid receptors. But not every opioid has the same effect. Naloxone, for example, binds to opioid receptors, but is actually used to reverse opioid overdoses. (Addiction treatment medications buprenorphine, naltrexone, and methadone also attach to opioid receptors.) That’s why researchers carefully examine how opioids actually work in the body. “The problem with saying it’s ‘an opioid’ without qualification is that it just paints everything with this broad brush, and obviously carries a negative connotation given what’s going on in the country right now,” Kruegel says. Dubbing kratom an opioid may be overgeneralizing. If so, then so too must be the FDA’s claim of 44 deaths associated with kratom. Last November, the agency said it had reports of 36 deaths associated with the plant. Since then it’s received new reports, and made public some of the data behind its claims in two PDFs. As Nick Wing noted in HuffPost, the evidence is less than persuasive—at least for the implication that kratom is, by itself, killing people. The FDA maintains a system for reporting adverse effects from food or drugs, and the 44 kratom-associated deaths are drawn from that database. In other words, the data’s evidentiary value varies. Included in the FDA’s count, for example, are nine deaths from Sweden involving a kratom-based product called Krypton, which also contained a synthetic opioid. In that case, it’s hard to know exactly what may have caused the deaths. 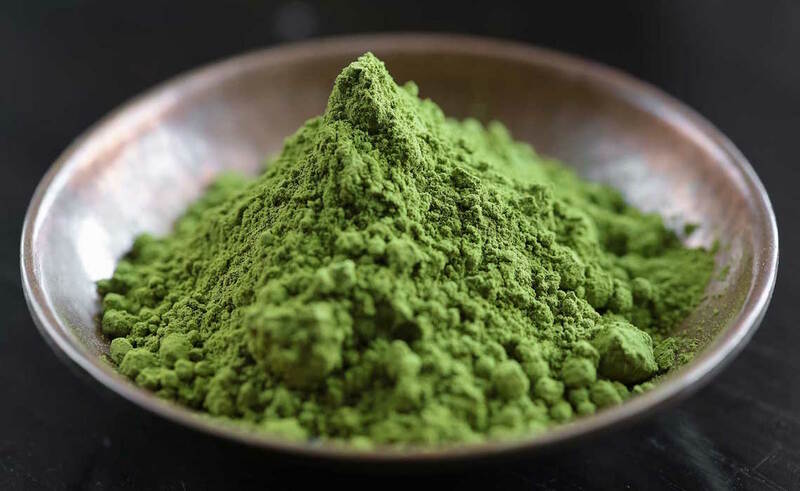 Adulterated kratom is a very real problem, says Walt Prozialeck, professor and chair of the department of pharmacology at the Chicago College of Osteopathic Medicine at Midwestern University. Because it’s sold as an herbal supplement, there’s little to no oversight of quality control or marketing material. People buying kratom online may not know what they’re actually getting. Prozialeck thinks that, rather than banning the plant, the FDA ought to consider labeling requirements and quality control—a common request among kratom advocates. While uncertainty about just what’s definitely an issue, when it comes to deaths, Prozialeck says, “I think there may be some excessive blame being put on kratom in the reports.” Almost every case, he notes, involved multiple drugs, a user with confounding health conditions, or a possible underlying seizure disorder. That means to really understand what caused these deaths, we have to account for the possibility of drug interactions, pre-existing conditions, and other possible factors. “There’s just nothing known about kratom to list it as the cause of death,” he says. Which raises the question of what federal authorities plan to do now that they’ve declared kratom an opioid. Jag Davies, director of communications strategy at the Drug Policy Alliance, points out that the Drug Enforcement Agency has the power to criminalize kratom—it already considered making it Schedule I, on the same prohibition level as heroin, until users raised a public outcry. The DEA backed off, at least for now, and Davies says the battle has largely shifted to the states, some of which have banned kratom (often lumping it in with synthetic opioids). “The urge to ban kratom is coming from this abstinence-only mindset,” he says, arguing that transitioning people addicted to opioids to using kratom should be considered a success. Yet most drug treatment centers work on the assumption that the only way to be healthy is to completely eliminate drug use. That thinking, Davies says, dismisses what we know about harm reduction; that weaning users onto less dangerous drugs, for example, can save lives. Davies, like Kruegel and Prozialeck, would like to see more authorities recognize kratom’s potential and the need for more research. While the FDA says “there is no reliable evidence to support the use of kratom as a treatment for opioid use disorder,” there are testimonials from people who’ve used it for exactly that. Research, meanwhile, suggests kratom doesn’t work the same way as the dangerous opioids the FDA has lumped it in with. And if the agency’s “novel science” becomes a reason for banning kratom at the federal level, it will make it almost impossible for scientists to do the work necessary to know for sure. Overdoses related to prescription opioids have quadrupled since 2000, a fact not lost on this state's politicians. A bipartisan coalition of lawmakers will introduce six bills during the 2018 session of the Colorado Legislature session that target the epidemic, and just before Christmas, Representative Jared Polis asked the U.S. Food and Drug Administration to lift its public-health warning on kratom, or what the Democrat from Boulder calls a "natural alternative to opioids." "The beneficial potential, safety, and efficacy of kratom has been discussed, studied, clinically researched and found to be as safe as coffee," states the letter, which was signed by seventeen lawmakers. "We have heard from many constituents who have used kratom to successfully end their dependence on dangerous opioids, and maintaining legal access to kratom is important for many Americans to maintain sobriety." In a November announcement addressing kratom, the FDA acknowledged that the plant, grown in places like Thailand and Malaysia, is used to treat pain, anxiety and depression. But FDA commissioner Scott Gottlieb said he doesn't see a significant difference between kratom and the opioids they supposedly replace. "Importantly, evidence shows that kratom has similar effects to narcotics like opioids, and carries similar risks of abuse, addiction and in some cases, death. Thus, it’s not surprising that often kratom is taken recreationally by users for its euphoric effects. "At a time when we have hit a critical point in the opioid epidemic," Gottlieb continued, "the increasing use of kratom as an alternative or adjunct to opioid use is extremely concerning." Polis's letter aims to provide context for many of the statistics cited in Gottlieb's November announcement, including the fact that calls to U.S. poison control centers about kratom increased tenfold from 2010 to 2015. "Regarding the FDA's concerns with the increase in calls to Poison Control Centers," it states, "the Agency is citing a July 2016 study by the Centers for Disease Control and Prevention (CDC) that states that there were less than thirty calls in 2010 and then 263 calls in 2015. To put this number in perspective, in 2014 alone, Poison Control Centers received over 4,000 calls regarding energy drink consumption and possible poisoning. Scientific research, expert testimony, and Poison Control Center data have shown that kratom is far less dangerous than energy drinks." KELOWNA (NEWS 1130) – A leafy plant in the coffee family could help combat the opioid crisis, according to research from the University of British Columbia. 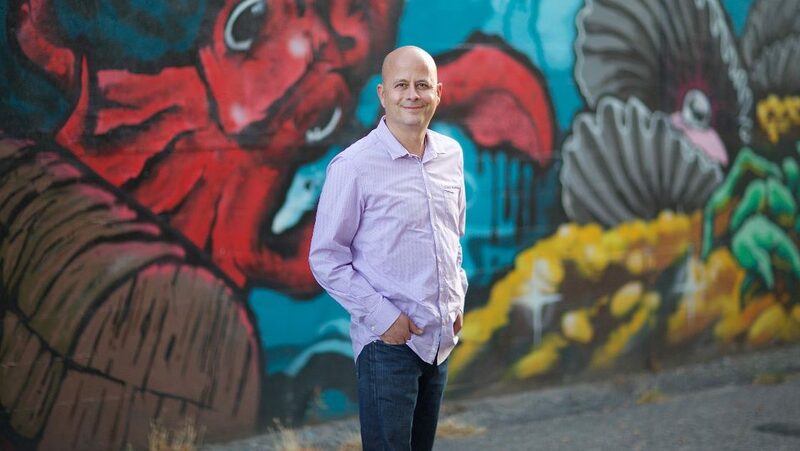 Researchers at UBC’s Okanagan campus and the University of Rochester Medical Center (URMC) reviewed 57 years of international scientific data and determined that kratom has a substantial history of use as an alternative to opioids. The tropical plant has been used recreationally and medicinally for hundreds of years in South East Asia. Co-author Dr Zach Walsh, with UBC Okanagan, says it could help wean addicts off opioids because the plant gives a similar high without the same risks. “It doesn’t cause respiratory depression, at least not in the types of doses that are regularly used that are causing all the fatalities around opioid use,” he says. No clinical trials into kratom have been done yet. But Walsh says the use of kratom is not without controversy. ATLANTA and WASHINGTON, Nov. 29, 2017 /PRNewswire-USNewswire/ -- A new review by the American Kratom Association (AKA) of the FDA Adverse Event Reporting System (FAERS) database maintained by the U.S. Food and Drug Administration (FDA) shows that, from 2011-2017, not a single death has been attributed solely to kratom anywhere in the United States, including Georgia. One of the nation's leading experts on addiction today urged FDA and state officials, including those in Georgia, to tone down their overheated rhetoric about the non-opiate botanical kratom. The AKA urged responsible parties to focus on how to regulate kratom in a way that would benefit the three million consumers of the product, avoiding the drastic step of a ban that could backfire and push more people into the deadly opioid epidemic. Dave Herman, chair of the board, American Kratom Association said: "Our message today is very simple. Kratom is a safe botanical that does not kill people. If the Government bans kratom, more people will die. Kratom is an alternative to opioids, not a gateway to opioid abuse. The American Kratom Association supports appropriate FDA regulations to ensure product quality and safety for consumers." Addiction expert Dr. Jack Henningfield, vice president of Research, Health Policy, and Abuse Liability at PinneyAssociates, said: "Recently there have been reports of kratom-associated deaths in the media. It is important to understand, and the FDA's own data confirms this, that there has not been a single verified report of an acute poisoning death that we can say with certainty was caused by kratom use. Most of the kratom-associated deaths occurred in people who had various pre-existing illnesses and/or were taking multiple substances with known serious health risks that may have been significant contributors to or causes of the reported deaths. The contribution of kratom, if any, to these deaths, is not known." Dr. Henningfield added: "We need every asset to dig our way out of the deep hole that is the opioid crisis. We need to find a path for kratom to continue to realize its benefits to help keep kratom available as a path away from opioids, and to not replace the legal marketplace with the black market that will surely emerge in the vacuum of a lawful market. It makes no sense to take kratom out of the equation and risk avoidable opioid epidemic deaths." The American Kratom Association reviewed the 2011-2017 data in the FDA's Adverse Event Reporting System (FAERS) and found no deaths attributed solely to kratom. Mac Haddow, legislative director, American Kratom Association, said: "The 'signal' for public action on kratom is incredibly insignificant in the broader context of deaths reported and adverse events reported under the FAERS system. The point is that this should not even be consuming the resources of the FDA given its status in the overall reporting of adverse events and deaths. It clearly illustrates a political agenda, rather than a scientific agenda, at the FDA. Out of just 42 times that kratom is mentioned in FAERS since 2011, there is not a single death associated with kratom itself, and every one of them is related to the co-administration of other toxic levels of a prescription drug or illegal substance. The point is that the FDA did not even use its own reporting system to validate the Health Advisory on kratom. They looked to outside publicly available literature that is far vaguer and open to interpretation because their own data does not support their thesis." Haddow cited examples of other products, including Heparin and Loperamide, that became the subject of death-related concerns and were subjected to tighter quality controls and testing, rather than a ban. Dr. Henningfield and Haddow noted that fairness alone would dictated that kratom, with a market of three million consumers, should receive the same kind of treatment. REGULATION: AKA supports appropriate FDA regulations to ensure the safety and purity of kratom products. AKA is committed to working with the FDA to share information and collaborate in the development of reasonable regulations that will protect consumers from adulteration and contamination of kratom products. CHILDREN: While Federal surveys have not identified the use of kratom products in children as an emerging problem, AKA nonetheless supports efforts to prevent youth use, such as consideration of minimum age of procurement laws, e.g., age 18. CHILD EXPOSURE CONCERNS: Although we are not aware of any child or infant poisonings, AKA supports appropriate child resistant packaging. PRODUCT PURITY: AKA believes that most manufacturers compete to provide the highest quality and purest products, and to ensure consumers can have confidence in the kratom products they purchase. AKA supports standards for product purity just as there are for most food products. POTENTIAL ADULTERANTS: AKA believes that responsible marketers do not adulterate their products with other substances, which is a concern that has been raised by FDA. However, AKA would welcome FDA standards to prevent contamination or adulteration of kratom products with dangerous substances. AKA also supports appropriate monitoring to reassure consumers that their lawfully purchased products meet purity and manufacturing standards. CLAIMS CONSISTENT WITH THE DIETARY SUPPLEMENT HEALTH AND EDUCATION ACT OF 1994 (DSHEA): AKA is committed to limiting claims associated with the use of kratom products to conform to the standards set in DSHEA for dietary supplements. AKA is committed to continuing to work with dietary experts and legal counsel, and will work with the FDA to ensure that AKA's statements do not constitute inappropriate claims. LABELING: AKA welcomes FDA development of labeling and encourages FDA to work with manufactures and marketers to develop labeling that is appropriate and helpful to consumers." Dr. Henningfield previously served as chief of the Clinical Pharmacology Research Branch of the National Institutes of Health's National Institute on Drug Abuse (NIDA), and is currently an adjunct professor of Behavioral Biology in the Department of Psychiatry and Behavioral Sciences at the Johns Hopkins University School of Medicine. Dr. Henningfield and his PinneyAssociates colleagues conducted a comprehensive review of publicly available data on the same eight factors that the DEA and FDA weigh on in deciding to control a substance. According to that analysis, kratom is not an opiate, it has not been linked to any known deaths, and the plant has little potential for abuse and dependence – as low or lower than such widely used (and federally unscheduled substances) as "nutmeg, hops, St. John's Wort, chamomile, guarana, and kola nut." (ANTIMEDIA Op-ed) — For the second time in as many years, the federal government is pushing to criminalize the use of kratom, a natural botanical supplement from the coffee family that patients have used for years to manage pain, opioid withdrawal symptoms, and depression. This time around, the US Food and Drug Administration (FDA) published an advisory stating certain dangers the coffee-like herb poses. In response, the American Kratom Association has initiated a formal dispute resolution petition, calling on activists and kratom users to mobilize once again to testify about the medical benefits of kratom, as well as the mischaracterizations from the FDA. The initial ban proposal the DEA made in August of 2016 shocked the kratom community, which is comprised of a wide spectrum of patients who need medical care for various conditions, including arthritis, chronic pain, depression, anxiety, opioid withdrawal, PTSD and others. Nearly all of them have found major relief from their symptoms through kratom with minimal to no side effects. If kratom were banned, many of them would be forced to resort to prescription pills or live in pain. Kratom is a unique medicinal solution that has been used for thousands of years and, unlike the prescription and non-prescription opioids it is often compared to, it does not cause respiratory depression. This is because kratom’s primary alkaloid, mitragynine, binds to delta opioid receptors rather than the mu receptors. So while it stimulates the same feel-good chemicals as a drug like, say, Percocet, it does not cause overdose. While law enforcement officials parrot mainstream print publications to claim that kratom is a public health risk, the evidence does not bear this out. To date, not a single case of death due to overdose can be traced to a person taking only kratom. The AKA’s research includes a review last year by Jack Henningfield, Ph.D., who is one of the world’s leading experts on addiction and the behavioral, cognitive, and central nervous system effects of drugs. Henningfield conducted an 8-factor assessment on kratom that concluded it has a very low risk of serious adverse effects, provides positive relief from pain and fatigue, and should not be considered a public health risk. “Kratom is more likely a path away from opioids than a path to opioids"
With kratom use growing in recent years and the public growing weary of prescription pain medications amid an addiction and overdose epidemic, many view the crackdown on kratom as an effort by the government to appease pharmaceutical companies who may be concerned about profits. Between 2008 and 2016, three synthetic opioids were synthesized from alkaloids found in kratom. The companies filing the patents on these alkaloids note multiple medicinal benefits, including opioid withdrawal. At some point, the question has to be bluntly asked: Is the government pushing to restrict kratom out of concern for public health or concern for Big Pharma’s private profits? One would think that during an opioid epidemic, officials would be focused on restricting the drugs causing the overdoses, not on a safely ingestible plant that can help prevent them. We’ve seen this use of irresponsible illogic before by our federal government; let’s not make the same mistake again. If you oppose the government tightening restrictions on kratom, call 1-888-463-6332, press 3, then press 4, and tell your story. The FDA has not banned kratom yet but they are already discussing ways to make it harder to import into the country. The FDA and the DEA are trying to criminalize and imperil access to a safe medicinal option. They need to hear real stories of those who depend on it for pain relief and psychological well-being. FDA's recent alert on alleged health risks associated with the herbal product kratom is being challenged by the American Kratom Association, which is petitioning the agency under the Information Quality Act to set up a special advisory committee of independent experts to review the accuracy and integrity of the data underlying FDA's advisory, and to hold a public meeting on the product. This is not the first time an agency's attempt to restrict access to kratom, an herbal product popular in Southeast Asia to self-treat anxiety, depression and pain, has been met with backlash. Activism by the Center for Regulatory Effectiveness successfully pushed the Drug Enforcement Administration to reconsider a 2016 plan to make kratom a Schedule I controlled substance. Despite fierce advocacy by kratom supporters, one of the leading dietary supplement groups supports a ban on kratom due to alleged risks of addiction. “Over the past several years, a botanical substance known as kratom has raised significant concerns given its increasing prevalence and potential safety risks. Today, the agency issued a public health advisory related to the FDA’s mounting concerns regarding risks associated with the use of kratom,” FDA Commissioner Scott Gottlieb writes in a Tuesday (Nov. 14) press release. Gottlieb says evidence shows that kratom has similar effects to narcotics like opioids, and carries similar risks of abuse, addiction and in some cases death. “Thus, it’s not surprising that often kratom is taken recreationally by users for its euphoric effects. At a time when we have hit a critical point in the opioid epidemic, the increasing use of kratom as an alternative or adjunct to opioid use is extremely concerning,” he adds. In addition to its alleged narcotic-like effects, FDA is aware of 36 deaths associated with kratom, as well as liver damage, seizures and withdrawal, according to Gottlieb. The FDA chief says FDA has taken a number of enforcement actions to stop the flow of kratom, including: treating the substance as an unapproved drug, issuing import alerts and detaining hundreds of shipments of kratom entering the United States via international mail facilities. FDA is also working with DEA “to further evaluate kratom and determine how it should be scheduled,” the commissioner tweeted Tuesday. Gottlieb says those advocating for kratom should go through FDA's review process for botanical drugs, noting no sponsors have sought approval for drugs containing kratom. “I understand that there’s a lot of interest in the possibility for kratom to be used as a potential therapy for a range of disorders. But the FDA has a science-based obligation that supersedes popular trends and relies on evidence. The FDA has a well-developed process for evaluating botanical drug products where parties seek to make therapeutic claims and is committed to facilitating development of botanical products than can help improve people’s health,” he says. Using the drug review process, Gottlieb says, would provide for a “much-needed discussion” among all stakeholders. “Until then, I want to be clear on one fact: there are currently no FDA-approved therapeutic uses of kratom. Moreover, the FDA has evidence to show that there are significant safety issues associated with its use,” Gottlieb adds. But the kratom lobby says the alleged risks are unsubstantiated “The public health advisory issued by the FDA and parroted in the Commissioner’s Statement contains numerous unsubstantiated and inaccurate statements that do not meet the standards of quality required by P.L. 106-554 and Office of Management and Budget (OMB) government-wide requirements for ensuring the quality of information they disseminate to the public, and therefore must be rescinded immediately,” the group writes. AKA says that FDA has ignored scientific data included in dietary supplement applications for the substance. “The FDA Office of Dietary Supplements has also received one or more New Dietary Ingredient applications including scientific study data documenting the safety and the very low addiction profile of kratom and affirming the relative safety of kratom’s continued use. This data should help inform the FDA about the safety of kratom, but the Agency is clearly unwilling to factor in this safety data in their assessments of the safety of kratom for consumer use,” the group writes. AKA also argues that FDA's advisory will lead state and local governments to ban the product, which is already banned in a number of states and countries, and in turn increase use of opioids. The group, citing an informal survey of its members, says kratom users may turn to illicit drugs should they not have access to kratom. “It is inconceivable that the FDA would favor a policy that would foreseeably force a patient who [has] been weaned off of opioid addition back to dangerously addictive and potentially deadly opioid prescription medications,” the group writes. The American Kratom Association is taking the FDA to task for their blatantly false claims regarding the herb that has been safely used as a folk medicine for hundreds of years. Several statements the FDA made were lacking any basis in reality. For instance, they claim it is responsible for multiple deaths when not one death has been causally linked directly to use of kratom. Neither is it an opiate or opioid. Claims that it has "opiate-like effects" ignore the fact that coffee, dairy and cheese products, even aerobic exercise, can also cause opiate receptor binding. AKA feels the FDA's misinformation is potentially dangerous. Kratom is the only thing keeping thousands of chronic pain patients and former opiate users away from the opiates and opioids responsible for over 30,000 deaths last year. The FDA released an "advisory warning" using information that the AKA asserts is based on “discredited, incomplete, and mischaracterized scientific claims.” As a result, they are formally asking that the incorrect statements be rescinded. AKA is currently initiating a formal dispute resolution (FDR) petition with the U.S. Department of Health and Human Services (HHS) to challenge the FDA claims. The current opiate crisis results in thousands of deaths, mostly due to respiratory depression. Unlike prescription opiates, kratom has never been known to result in lethal respiratory depression or toxicity. Kratom is safe by comparison even to coffee, it's botanical cousin in the Rubiacea family. A research study released in May reported 50 recent deaths due to use of caffeine. The deaths previously attributed to kratom involve the use of other drugs which weren't taken into account. The previously announced figure of "15 kratom deaths" has been previously debunked numerous times. 9 of the deaths were due to the opioid research chemical O-desmethyltramadol and others involved contraindicated drug combinations and/or presence of other substances such as benzodiazepines and morphine. In fact, a review of decades of data from South East Asia where kratom use is common, and of all data from the US, including four recent independent surveys involving thousands of kratom consumers, indicates that “kratom is more likely a path away from opioids than a path to opioids,” this according to drug abuse authority and Johns Hopkins University professor, Jack Henningfield, Ph.D. Dr. Henningfield was the author of the 8-factor analysis of kratom that was delivered to the DEA and FDA November 29 of last year. Dr. Henningfield's analysis concluded that restriction of kratom is not only unwarranted from a public health perspective but is actually more likely to create more issues. He also noted that kratom consumption has not become a public health or medical problem (unlike, for instance, abuse of processed sugar, culpable in millions of death). Dr. Henningfield also discovered that kratom is primarily preferred as a natural "home remedy" over opiate and other substances for its lack of intoxicating effects and other negative sides. The effects of the primary constituents of kratom were found to be generally mild and contribute to increased work productivity, quality of life and social relationships, especially as compared with prescription opiates for pain management. Though kratom is psychoactive, it is most definitely safer than other legal psychoactives. Nicotine, alcohol and caffeine are responsible for multiple deaths. Even apparently benign over-the-counter substances like Tylenol or antihistamines are known to cause hundreds of deaths per year. Water and salt have a much higher potential for toxicity than kratom. At present, there has not been one single verifiable death due to kratom overdose. In addition to the favorable safety profile, kratom has been shown to have a whole host of positive medicinal and overall health benefits. Kratom is an immunostimulant and has been theorized as a possible treatment for PTSD, fibromyalgia, neuropathy, anxiety and other conditions. In addition to health benefits, it is actually much safer for long-term use than several over-the-counter drugs such as non-steroidal anti-inflammatory drugs (NSAIDs). NSAIDs pose serious GI and cardiovascular risks. The FDA statement also contradicts current scientific literature on the subject. It's a year now since the historic back down of the DEA in their attempted scheduling and they seem to be passing the ball over to the FDA. For those who have been a part of the kratom community for some time, this should be familiar. For years now, the FDA and DEA have been relying on factually inaccurate information and trading off responsibility for attempting to restrict the use of this plant panacea. It may be possible that at this point, it's not just "business as usual" (i.e. protecting corporate interests of some of the pharmaceutical billionaires, such as recently indicted Fentanyl manufacturer). I'm afraid that the embarrassment of losing the last battle has made this personal. It’s an experience Patricia Sleven wishes she could forget. "Everything hurts. You're sick. You're nauseous, throwing up, diarrhea," said Sleven. That's what she goes through every time she tries to stop using opioids. She's part of a skyrocketing number of Americans addicted to the drug. But she finds relief in a plant called Kratom. It’s a plant native to Southeast Asia that U.S. researchers are studying as a possible treatment to opioid addiction. “We definitely believe this could be a solution or part of a solution to the crisis we are in,” says Christopher McCrurdy, a Medicinal Chemist. But the plant is not without its issues. Kratom has been banned in six states, including Alabama and the DEA has named it as a "drug of concern." Christ Retan, the Executive Director of the Aletheia House, a Birmingham based drug rehab program, says they are always hopeful anytime they hear of a treatment that may work. “But we should say right now there is no evidence this works and we don't want people taking medications that's not been proven to work,” Retan said. At the Aletheia House, Retan says they encourage clients to methods like Methadone and Suboxone that have been shown to work after decades of study. Retan says they are long term studies he feels Kratom needs to undergo. “Everything we take has benefit and risk and what we don't want to do is be in a situation where somebody think there's only benefit and doesn't fully understand the risk,” Retan said. “So we need to have standardization and we need to have testing and we need to know the benefits and side effects of anything before we take it." KRATOM IS KNOWN BY IT'S LATIN BOTANICAL NAME as Mitragyna speciosa. I often get this question: what IS kratom? What does it do? How is it consumed?